HOW CAN OUR FINDER HELP YOU? We are intruducing you the world best things finder, MyoSeeker, which is used to search for lost or forgotten things using MyoCards. It is very simple to use. Just insert the MyoCard into searched item, for example purse, documents, books, spectacles case, etc. MyoSeeker is special in that way, that MyoCards do not need a battery. Once you mount the MyoCard on the object, you are assured that you can find the object for an unlimited period of time. 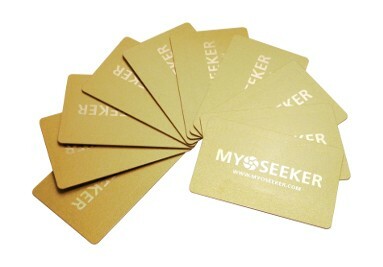 With one MyoSeeker, you can "mark" with MyoCards, and subsequently find 3,960 different items! One device will serve you for a lifetime. 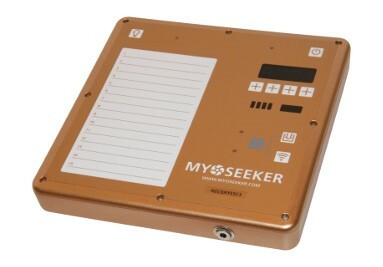 MyoSeeker is able to find the desired object up to a distance of five meters. MyoSeeker is useful for every ordinary man who time to time forgets where he puts his things as well as for those with a higher degree of forgetfulness, or for blind or partially sighted persons, for which the device is a very valuable tool.